Enjoy your favorite magazines with glossy, full-color layouts, photographs and illustrations. 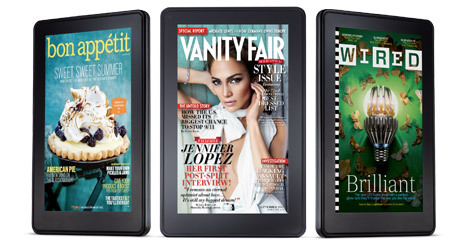 Choose from hundreds of titles, such as Bon Appetit, Elle, and Oprah. 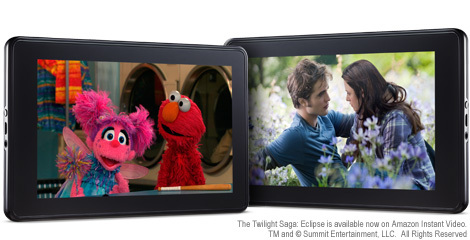 Special editions of titles likeVanity Fair, Wired, and GQ come with built-in video, audio and other interactive features. Amazon Silk is a revolutionary, cloud-accelerated browser that uses a "split browser" architecture to leverage the computing speed and power of the Amazon Web Services cloud. Supports Adobe® Flash® Player. Learn why it's so fast.